In London the number of people cycling to work has more than doubled in 10 years, reveals Office for National Statistics. New census data released by the Office for National Statistics today reveals that London’s bike commuting boom is real. However, the picture is patchy elsewhere in England and Wales. 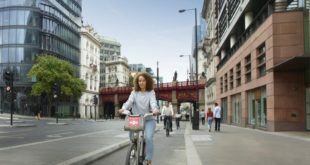 In London, the number of people cycling to work has more than doubled in ten years, up a whopping 144 percent (albeit on a low base campared to cities such as Amsterdam). Overall, cycling to work levels in England and Wales as a whole were unchanged, with a modal share of 2.8 in 2011, which is the same as in 2001. Other cities experiencing higher levels of cycling to work were Brighton and Hove ( up by 109 percent), Bristol ( up by 94 percent), Manchester ( up by 83 percent) and Newcastle (up by 81 percent). In Wales, the most successful local authority was Cardiff which saw an increase of 65 percent. “These new figures are telling of the haphazard approach of many authorities to get with the times and improve provision for the increasing number of people wanting to cycle to work. 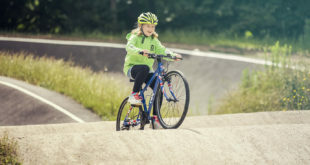 “The public demand is there and many urban councils have made good progress in training and infrastructure as is shown by the outstanding urban cycling results. It shows when decision makers put their minds into increasing cycling, real progress can be made. According to the newly-released census data, 741,000 working residents aged 16 to 74 cycled to work in England and Wales in 2011. This was an increase of 90,000 compared with 2001. Between 2001 and 2011 the number of people living in London that cycled to work more than doubled from 77,000 in 2001 to 155,000 in 2011. However, in 202 out of 348 local authorities in England and Wales, the numbers of working residents cycling to work declined between 2001 and 2011. In Cambridge, 29 percent of working residents cycled to work. The next highest rate was in Oxford (17 percent) followed by Isles of Scilly and Hackney at 14 percent. There were 29 local authorities where less than one percent of working residents cycled to work. 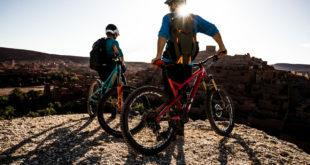 The four local authorities with the lowest rates were all in Wales with Merthyr Tydfil the lowest with 0.3 percent of working residents cycling to work in 2011.